Offering you a complete choice of products which include basil oil linalool, vetiver oil and galbanum oil. Basil Oil Linalool is Liquid. it is use in perfumery, food flavours, Aromatic, cosmetic, Soap Detergent and Fraganance Industry. Storage: Keep container tightly closed. Keep container in a cool, well-ventilated area. 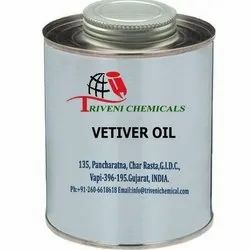 Vetiver Oil (8016-96-4) is liquid. it is also known as Vetiver Essential Oil. it is use in perfumery, food flavours, Aromatic, cosmetic, Soap Detergent and Fraganance Industry. Storage: Keep container tightly closed. Keep container in a cool, well-ventilated area. Galbanum Oil (8023-91-4) is Liquid. it is also known as Galbanum Essential Oil. Storage: Keep container tightly closed. Keep container in a cool, well-ventilated area.